These days, the only way to survive and remain relevant is to reinvent yourself constantly. This also applies to the super-tough design industry, where furniture and lifestyle stores pop up, become a big hit, and then fizzle out like soda. The reasons may be that the designers are moving on to bigger things, but sometimes, there just isn’t enough steam to keep the showroom running. This isn’t so with Space Encounters. 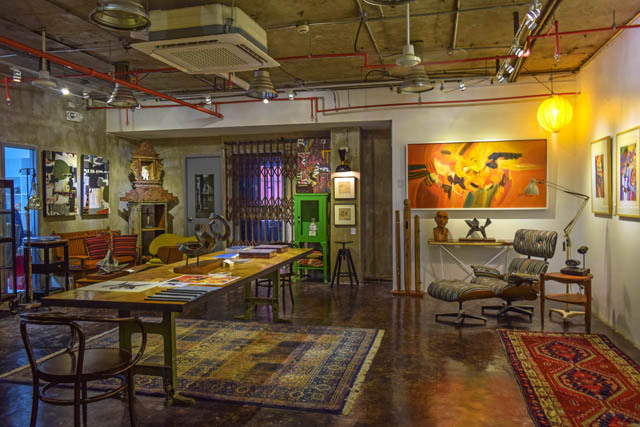 The little furniture store on the mezzanine of the cool, midcentury Padilla building has been burning bright since 2009 shows no signs of dimming, and has survived through three changes of Philippine presidents and economies (a feat unto itself). 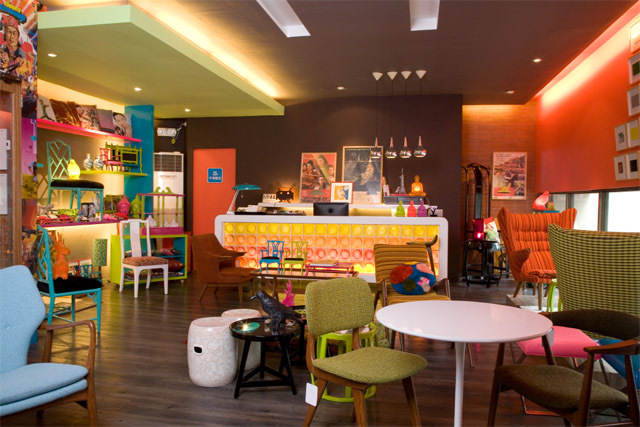 It is because its owners, interior designer Wilmer Lopez and writer Thor Balanon, are masters of reinvention. Every new furniture collection of Space Encounters is like a delightful surprise—each collection is totally different from the last, and you’ll never know what is coming next. Thor and Wilmer have recently launched their new oeuvre, Space Encounters Gallery, but before we introduce you to that new character, we’ll walk you through the various reincarnations of Space throughout the years. According to Wilmer, the idea of opening up a furniture store came up in 2006. “Most of what we were working on were model condo units,” he says. 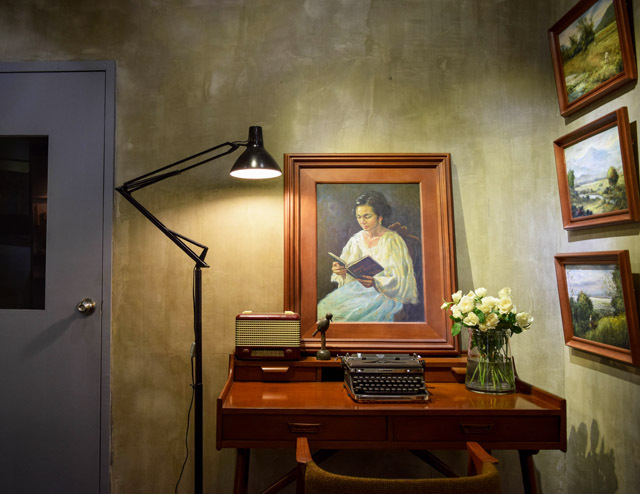 “Nakita kong may demand for pieces.” His furniture initial collection, “L’indochine Remix,” featured midcentury modern Scandinavian furniture (still his trademark style), with dashes of Asian pop culture (K-Pop, Wong Kar Wai, Thai cinema). It was a mad mix, but it was a hit. Space Encounters ventured from Euro-Asian-Pop to faux taxidermy in their “Hunting Season” collection, and then dabbled in minimalist-modern Bauhaus in their “Gravity Falls” line. 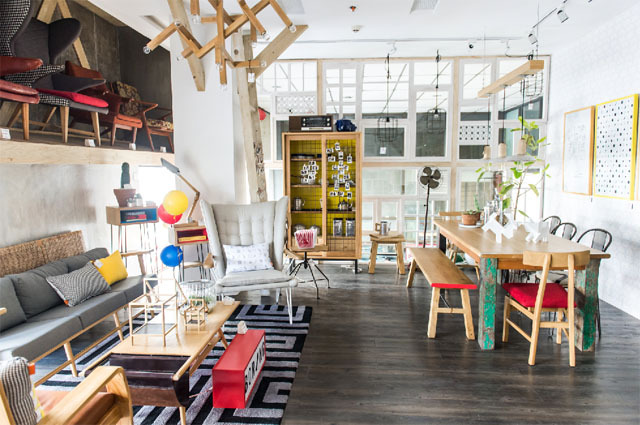 In early 2015, their showroom got a clean, airy-looking overhaul when they unveiled “Boring Things”—a collection of everyday objects transformed into statement pieces—clothespin bags, a rice scooper table lamp, a lemon-yellow paminggalan. The designers at Space Encounters took to the drawing board, but there was a rule in coming up with the new designs: “No Pinterest, no looking at the Internet,” says Thor. The team came up with “The New Romantics” collection, which featured their signature midcentury lines, but with Art Deco and Neoclassical touches. 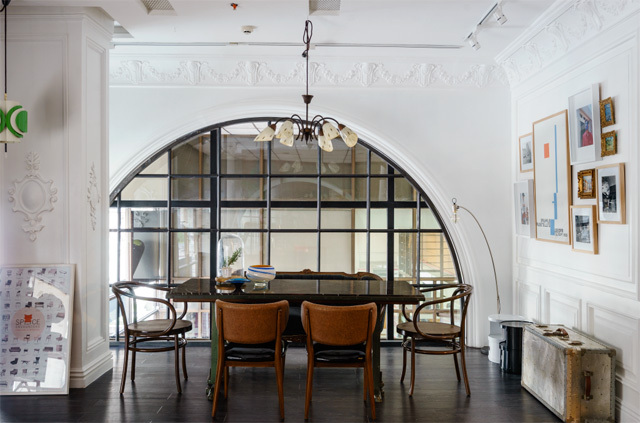 The showroom also got its latest overhaul with classic architectural detailing by OG de Leon to match the collection. Space Encounters recently ventured to contemporary Filipino art and other collectibles with Space Encounters Gallery. 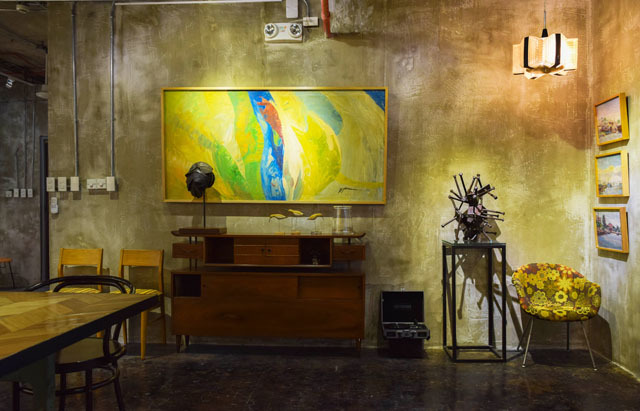 Wilmer and his design team transformed the space of a former Korean school in the same building into a dramatic venue with raw concrete walls, moody vignettes, and a preview of the artwork in the public hallways (above). 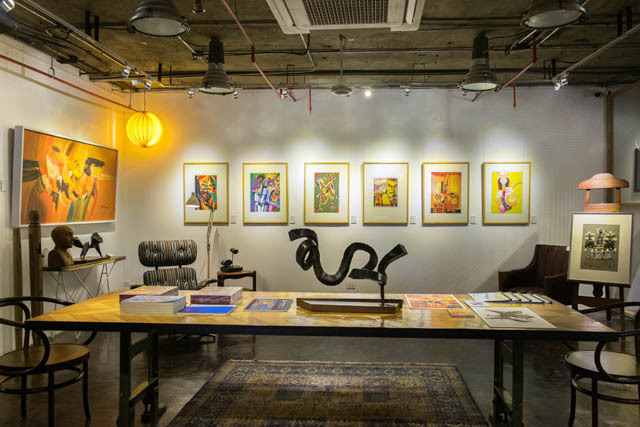 The gallery opened with the exhibit “Collected Stories” with works by noted Filipino artists such as Romulo Olazo, Cesar Buenaventura, and sculptures by Richard Buxani. 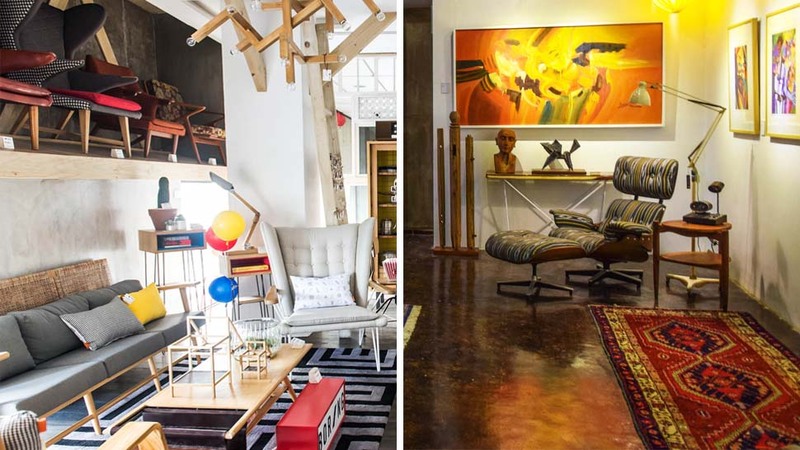 Added to the mix are Space Encounters furniture, vintage art books, beautiful Persian rugs, and antiques. 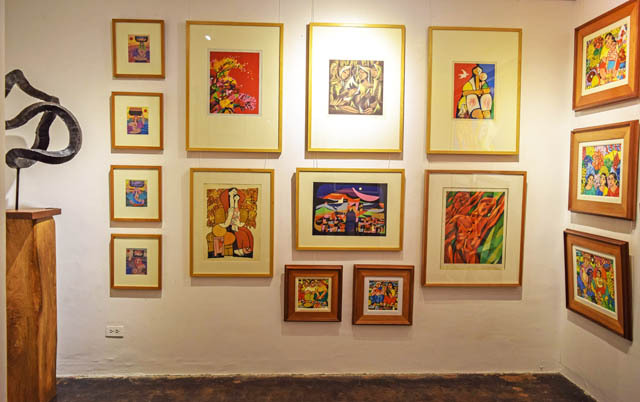 One room in the gallery (in photo above) is a treasure trove of serigraphs by National Artists like Ang Kiukok, and pieces by Malang and Norma Belleza. “Collected Stories” runs until November 11, 2017. There is an Art Market selling event on the ground floor of Padilla Bldg. from November 9 to 10. 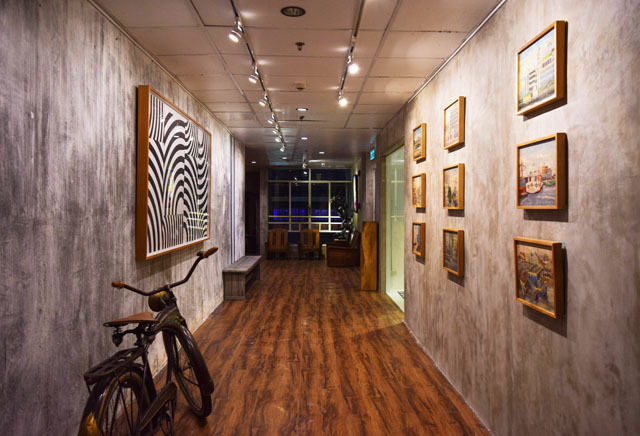 Visit Space Encounters Gallery at Unit 7D, 7th floor, Padilla Bldg., F. Ortigas Road (formerly Emerald Ave.), Ortigas Center, Pasig City; Space Encounters store is at the Mezzanine of the same building, tel. (02) 910-8031, or follow them on Facebook.